Numerology & Numbers, they’re fascinating little things aren’t they? 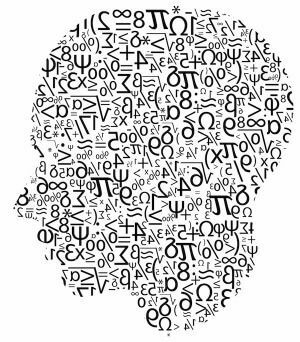 While numbers often seem completely random or arbitrary, every now and then they have us scratching our heads with their paradoxical equations or significant “coincidences”. Just take a look at these 4 facts about numbers and you’ll know what we mean. In a room of 23 people, there’s a 50% chance that two of them have the same birthday. This is known as the Birthday Paradox. 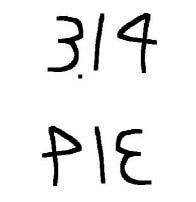 If you write out Pi to two decimal places, backwards, it spells “pie”. When you add up all the numbers on a roulette table, you get the number 666. So what about the meaning behind the numbers of your name and birthday? This is precisely what the science of Numerology helps you to understand. Unlike many other forms of divination, Numerology is NOT some strange science reserved only for psychics and mystics. It is shockingly simple, but can influence your life in more ways than you can imagine. 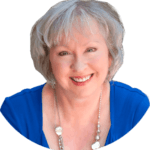 I’ve been using my personal numerology report for years and I’m always astonished and so appreciative at how accurate, insightful and helpful it really is. For instance, it warns me about pending problems so I can be better prepared to deal with them and won’t feel blindsided. It tells me the best times to work on my business. It tells me when the best times are to be with my family. And, it even tells me what the best day is for love and romance! When I follow the guidance, it all works out brilliantly. Bottom line? I love it! I think you will too. NOTE: Occasionally I will mention a product other than mine where I might receive some compensation for taking the time and trouble to tell you about it. I always research the product or company first and will only recommend it if I think it is truly worthwhile. But it has to be something I’m really excited about or believe will help you (and your pets). I had one of these done last year. Still haven’t had the time to read all the way through it. Just starting to dabble in numerology, and what I’ve found so far is fascinating! Looked at the clock this morning: 11:11 🙂 I’m starting to see more of this all the time. It helps that I’m looking for it now, I’m sure.